Cards now should be handed in at the Clover at 3pm presentation at 4pm during the summer months. Olagolf have recruited 4 more staff to clear the weeds from the rough. They have reached the 8th hole. The featured hole this week is the par 5 4th hole. Some of the scores were unbelievable and appropriate handicap reductions will be made! This week we had a noticeboard for the society installed in the golf shop. The visibility of this board may persuade casual golfers to play with us instead of playing later. 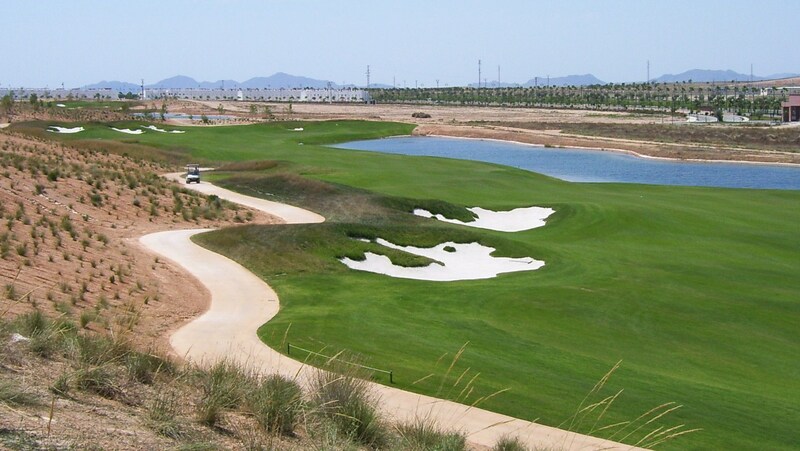 Times have been reserved through the summer on Fridays from 09.00 to 09.50 and fees reduced to 40 euros. The featured hole this week is the par 3 3rd. lots of trouble at both sides…. 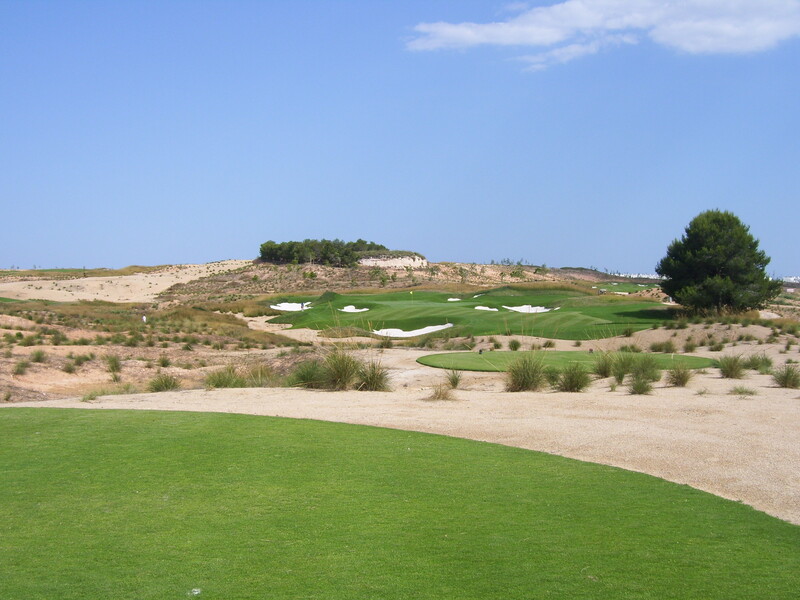 looking back from green to tee with par 3 3rd to right…. Only 12 players today due to cancellations and no shows and played in bright sunshine and intense heat. From this week I will upload a picture of a different hole each week. This week is the view down the 1st hole. 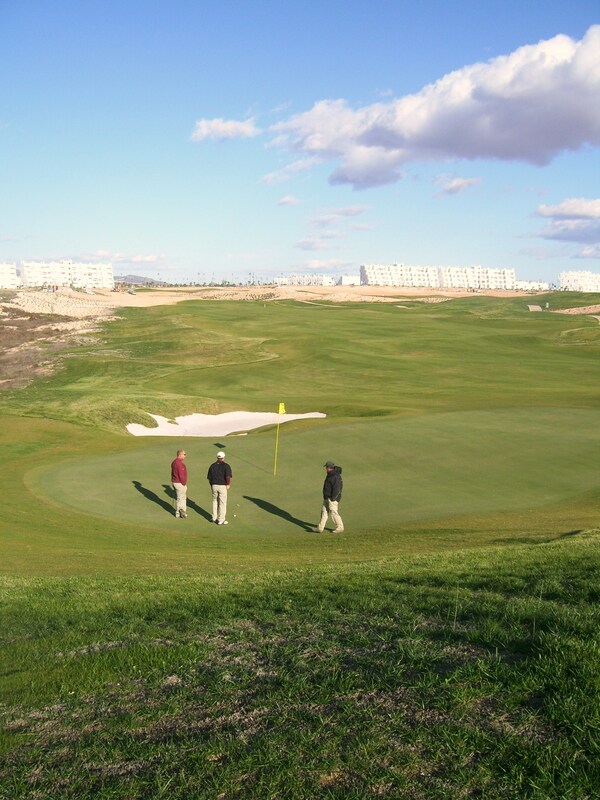 Myself and Graham have had a meeting with Carlos who is the golf manager of Olagolf at Condado. 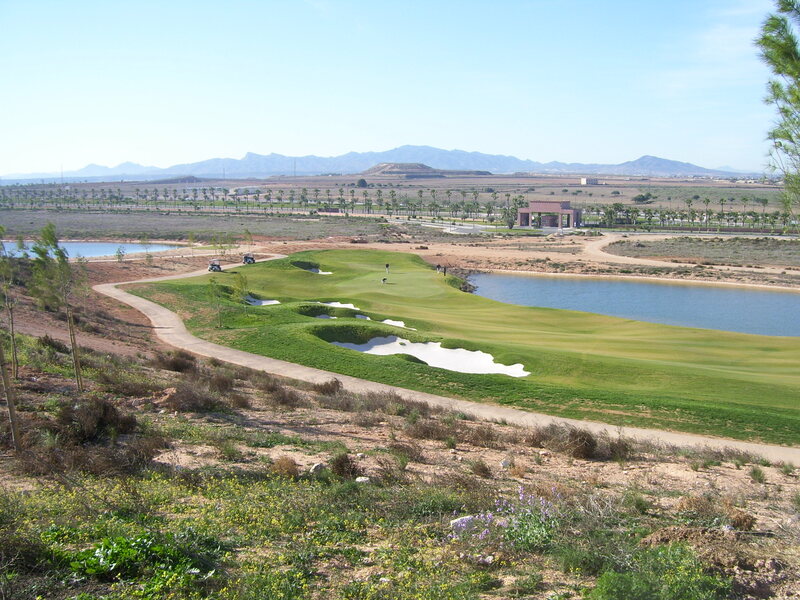 Carlos has managed in Tenerife (Golf del Sur) and La Gomera. We had an agenda to ask questions and we feel we got positive replies. The architects have been over 2 weeks ago to start preparing for the temporary clubhouse. It is likely to be a single storey wooden building but will have comprehensive facilities with bar, restaurant, changing rooms, showers, lockers and pro shop. It will be sited near the 1st tee and should be ready early October. The surrounding area will be tarmac for a car park and landscaped with flowers and plants etc. It is expected that it will be in place for years rather than months so don’t expect the owners (IRM bank consortium) to throw money at it. Carlos has agreed to provide the society with a noticeboard for handicap list, fixtures, tee times, results and this will be put into current shop shortly before the move. The greenfee for residents has been reduced to 50E for the summer and we have managed to reduce the society fee to 40E for the same period. Also we have reserved tee times from 09.00 every Friday while the weather is hot. New golf buggies will be brought in and may have cool boxes installed. Also it is intended to have a food/drinks buggy covering the course. The rough has already been cut back further to make play easier and tufts around the edges of the greens will be treated and removed. Preferred lies are allowed in the drop area on the 11th. Hopefully there will be a notice on the shop desk stating when preferred lies are available on the rest of the fairways. The 3 greenkeepers laid off by Polaris have been reinstated by Olagolf and an extra 10 staff are clearing the weeds around the course for the next 3 weeks. 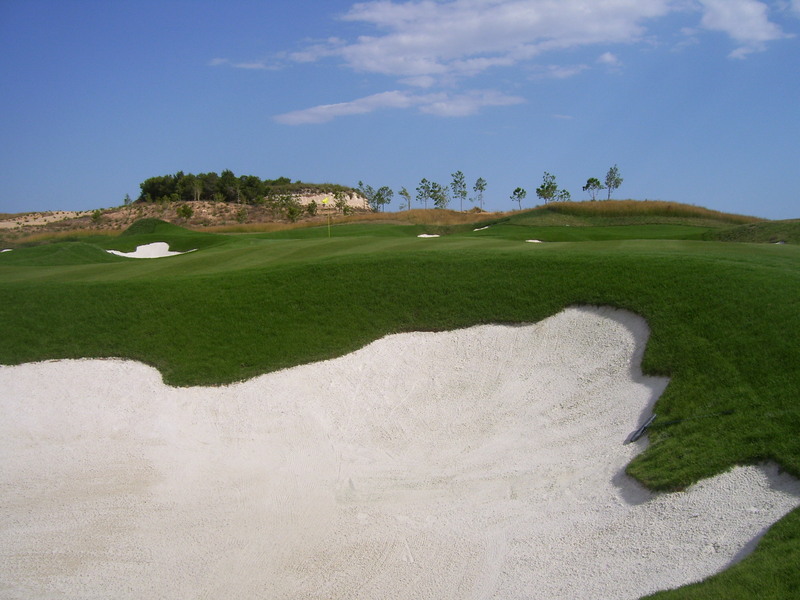 Any ball on the planted areas can be dropped onto the edge of the fairway ( not from waste bunkers). 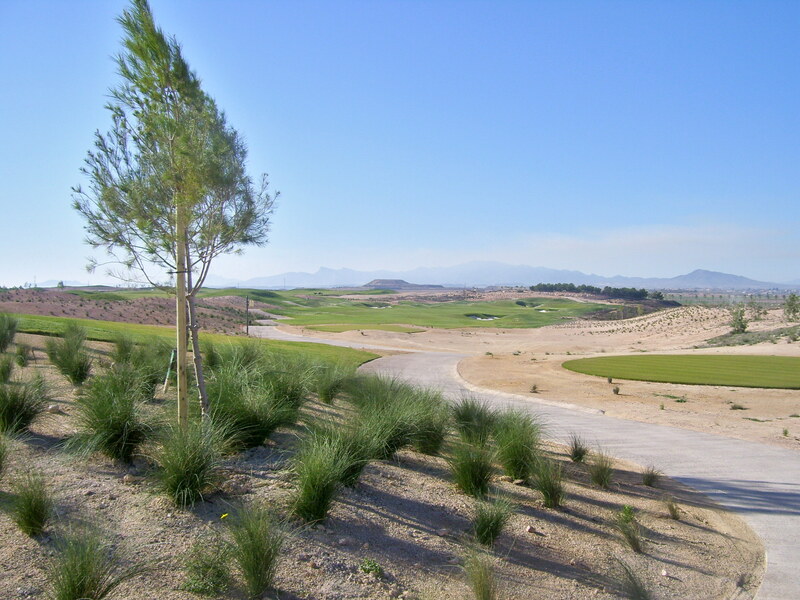 The rock like waste areas may get more sand so you can play from them as at El Valle. Proper paths will be constructed from green to tee for trolleys and walkers. 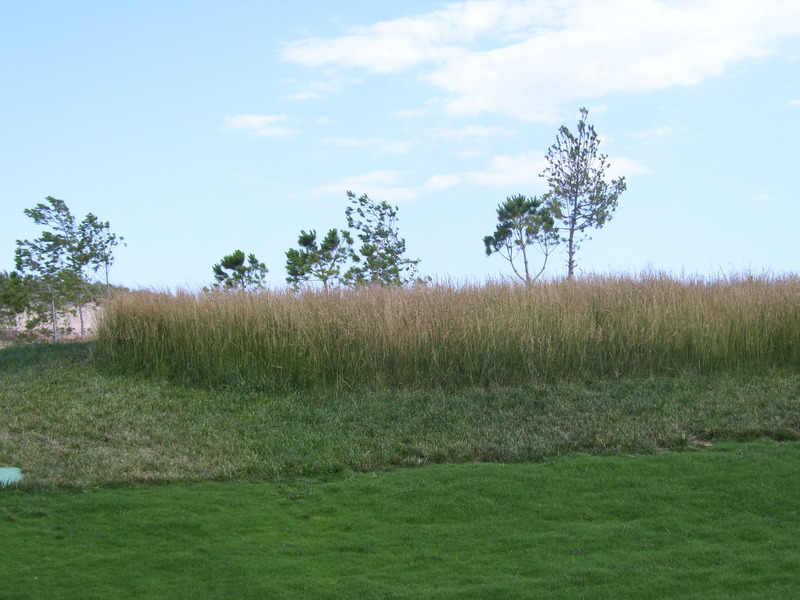 Signs needed around the course – next tee, players only, dropping area. 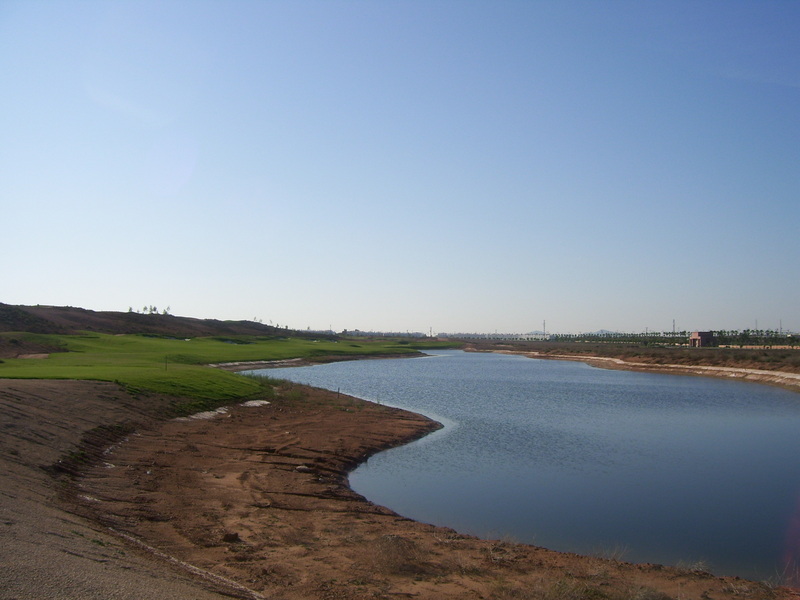 May get fish (carp) in lakes which will attract birds to enhance the aesthetics of the course. It is intended to provide benches at each tee. Lines needed between water hazard posts to clarify margin of hazard. Cannot use your own buggy on the course unless you pay Olagolf 500E per year.